1 in 5 children (in the UK) are now diagnosed with asthma or allergic rhinitis. Household dust mites are thought to affect 80% of sufferers. 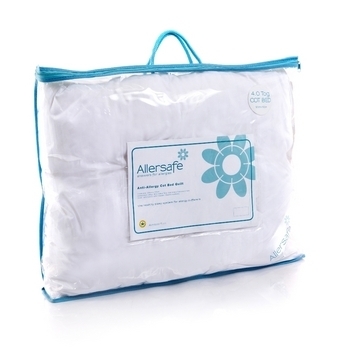 The Allersafe Premium Cot Bed 4.0 Tog Duvet offers allergy relief at bed time. It has been filled with a sumptuously soft blend of Hollowfibre and Amicor Pure Acrylic Fibre. This specially developed filling prevents the growth of dustmites within the duvet itself. 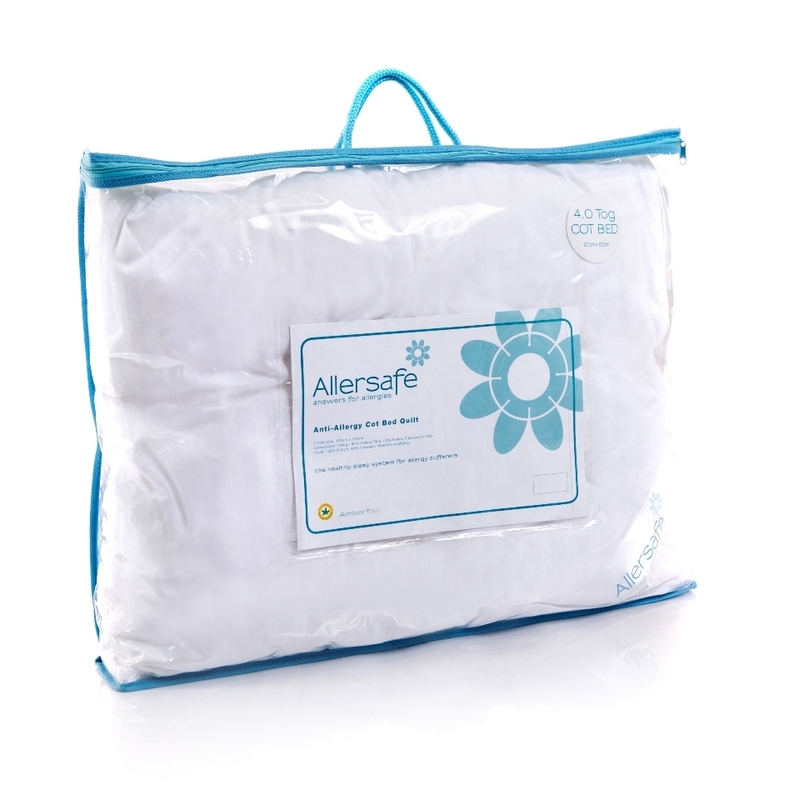 As part of the Allersafe Premium collection you can also rest assured knowing your little one will be sleeping in allergy bedding luxury. The wonderfully snug filling has been encased in a beautiful jacquard stripe cover with a satin piped edging. The cassette construction ensures an even distribution of the filling, preventing cold spots developing. 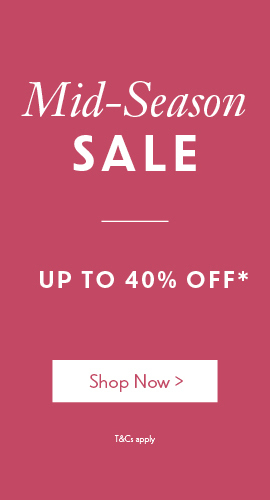 You may be eligible to claim VAT relief on this product. 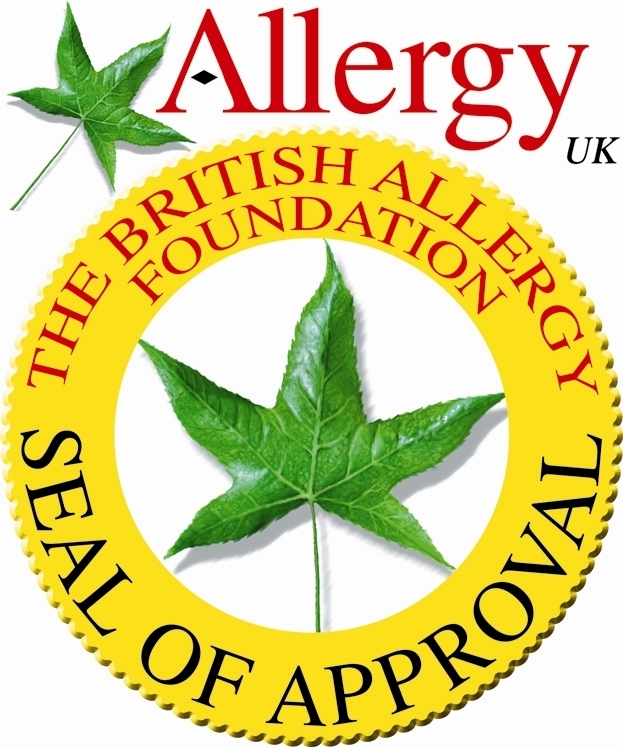 All our Allersafe products have been awarded Allergy UK's Seal of Approval. what age is the duvet suitable from ? We recommend the use of this duvet for children over the age of 18 months.